THE poorest 20 per cent of households in WA hold 0.8 per cent of the state’s total net wealth despite end of the resources boom according to a report by the Curtin Economics Centre. Despite the tailing off of the resources boom, there is still a huge gap between the rich and poor in Western Australia, according to findings in Back to the Future, the eighth report in the Centre’s Focus on Western Australia series. The report shows while income inequality has fallen slightly, there continues to be significant inequality in the distribution of household net wealth. The wealthiest 20 per cent of WA households hold almost two-thirds of the state’s total net household wealth. Centre director Alan Duncan said a quarter of single women in WA did not currently hold any superannuation assets, compared to only one in ten men and this had created a noticeable and persistent gender wealth gap. “There are also strong signals emanating from the labour market that career pathways will be less straightforward,” he said. “For the first time since 2006, WA’s unemployment rate has surpassed the nation’s. “Further, the report found the under-employment ratio has risen in WA more rapidly than in other states and territories, increasing from 6 per cent in 2011 to 10 per cent in 2016. “Labour demand has also been decreasing with the WA Internet Vacancy Index recently falling below the national rate. “More West Australians will need to hold multiple jobs at any point in time to make up preferred work hours and multiple job turnovers and career shifts before retirement would not be unusual,” Professor Duncan said. “Mining continues to be the primary contributor to the state’s economic output after the boom, despite the mining labour force shrinking by 20 per cent over the last three years. “On the other hand, the employment share of the health care and social assistance industry has grown. “After a prolonged period of economic growth driven by the resources boom, WA’s economic trajectory has returned to a ‘new normal’ which is more consistent with national economic growth rates. The Back to the Future report, as well as previous Curtin Economic Centre reports, can be accessed via http://bcec.edu.au/. Average gross incomes in regional areas of WA have fallen by 1.6 per cent since 2009-10. This likely reflects the greater economic challenges for families living in regional WA after the state’s resources boom. Single parents have seen a much lower growth in median gross income since 2009-10, up 5 per cent to $64,200. There is an evident gender gap of some 33 per cent in median gross incomes between non-elderly single men ($72,500) and non-elderly women ($48,900). On average, non-elderly single men and women have disposable incomes of $821 and $674 respectively after housing costs, representing a gender gap of 18 per cent. The incomes of the state’s richest 10 per cent of households were at least five times those of the poorest 10 per cent in 2010, but the gap has fallen substantially since, to a multiple of around 4.5 by 2015. Nearly six in ten (58 per cent) single parent households draw most of their income from earnings, a rise of 7.9 percentage points since 2009-10. Government payments, principally the age pension, now make up the principal source of income for nearly three quarters of elderly single men (73 per cent) and four in five (81 per cent) elderly single women. 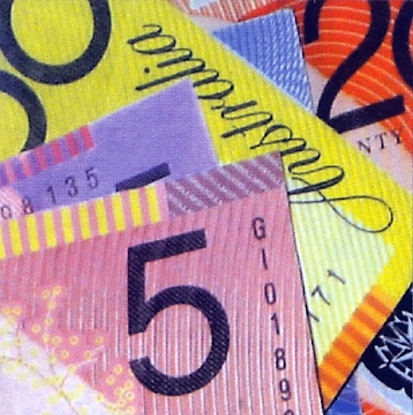 The richest 20 per cent of WA households in wealth terms (the fifth quintile) holds at least 64.7 per cent of the state’s aggregate household net wealth. The average inflation rate in Perth declined from 3 per cent during the resources boom to under 2 per cent during the post-boom period. During the post-boom period, Perth has experienced slower price growth than metropolitan Australia in categories representing basic day-to-day necessities i.e. food, housing, transport and health. Since 2013, the retail trade turnover in WA has been growing much more slowly than in Australia and even exhibited negative growth rates in some quarters. Between 2012 and 2016, the WA-Australia gap in per capita expenditure shrunk from $146 to $61 for durable goods and from $160 to $54 for restaurant food services. The cost of living in Pilbara was 37 per cent higher than in Perth in 2011 but just 18 per cent higher in 2015. The cost of living in the Kimberley region was 20 per cent higher than Perth in 2011 and this gap narrowed to 15 per cent in 2015. Regions with more diverse economies such as the Gascoyne, Wheatbelt and South-West have become more expensive in recent years. During 2000-01 and 2014, the inflation rate was greater than the wage growth rate in WA, implying that the purchasing power of WA households declined during these two periods. Between 2013 and 2015, WA’s real income growth fell behind Australia. However, during the first two quarters of 2016, there are signs that growth in real incomes in WA is once again outpacing Australia’s real income growth. For the first time since 2006, the state’s unemployment rate surpassed the nation’s unemployment rate in mid-2015.